The largest snowflake ever observed was 38 cm wide was recorded in Montana on January 28, 1887. That’s just darn near 15 inches. Amazing! 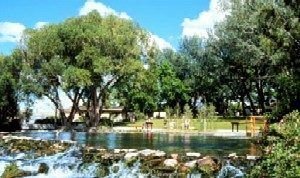 Giant Springs, Montana is home to the largest freshwater spring in the U.S.
Montana holds the world record for the greatest temperature change in 24 hours. On January 14-15, 1972, the temperature went from -54°F to 49°F a whopping 103 degrees in Loma! In Helena, Montana it is illegal to throw an item across a street. In Montana, the word “ditch” can be used to order a drink. It means “with water.” “I’d like a Jack Daniel’s ditch, please” means, “I’d like a Jack Daniel’s and water.” This is not a joke. In fact, all you really have to ask for is a “Jack ditch.” Try it out the next time you find yourself in a Montana saloon. The selection of Helena as the capital of Montana had an inauspicious beginning. A political war between two “Copper Kings” Marcus Daly and William Clark, resulted in massive bribery and vote-buying scandals only a “Copper King” could afford. With Daly backing Anaconda and Clark supporting Helena, it is estimated that in 1894 each man spent almost $3 million to determine which city would become Montana’s new capital. The Roe River is recognized by the Guinness Book of World Records as the world’s shortest river. The Roe flows 200 feet between Giant Springs and the Missouri River near Great Falls. The Roe River competes with the D River in Lincoln City, Oregon for the title of the shortest river. Both rivers have been measured on different occasions, with lengths varying from 58 feet to 200 feet. Schoolchildren in Great Falls campaigned successfully to have the Roe River placed in the Guinness Book of World Records. In 1888 Helena had more millionaires per capita than any other city in the world. The Montana Yogo Sapphire is the only North American gem to be included in the Crown Jewels of England. It is a misdemeanor to show movies that depict acts of a felonious crime. The World’s Largest Steer can be found at Baker, Montana at the O’Fallon Museum. Weighing in at 3,980 pounds, he grew to be 5’9″ tall and 10’4″ long. Born March 23, 1923, just east of Baker, Montana, the steer lived for 15 years and 4 months. Raised by Jack Guth, a former jockey, the steer toured local stock shows and circuses when he was alive. After he died, his hide was preserved. 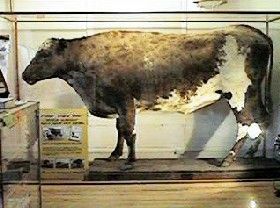 Steer Montana disappeared for many years, but was finally discovered in a storage facility in Billings and donated to the O’Fallon Museum. 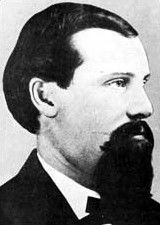 The notorious outlaw, Henry Plummer, built the first jail constructed in the state at Bannack. Every spring nearly 10,000 white pelicans with a wingspan of nine feet migrate from the Gulf of Mexico to Medicine Lake in northeastern Montana. The “Going to the Sun Road” in Glacier Park is considered one of the most scenic drives in America. 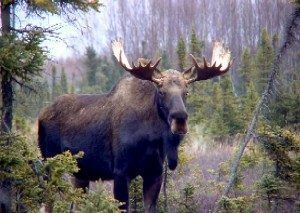 The moose, now numbering over 8,000 in Montana, was thought to be extinct in the Rockies south of Canada in the 1900s. At Egg Mountain near Choteau, dinosaur eggs have been discovered supporting the theory some dinosaurs were more like mammals and birds than like reptiles. In Whitehall, Montana it is illegal to operate a vehicle with ice picks attached to the wheels. In 1884, the citizens of Montana Territory were fed up with lawlessness and forming a large-scale vigilante force, they executed thirty-five horse and cattle thieves that year. The Continental Divide runs along the crests of the Rocky Mountains from Canada to Mexico, literally dividing the waters of the North American Continent. Montana is known as the headwaters state because much of the water which flows to the rest of the nation comes from the mountains of Montana.